Dive Bunaken with Bunaken Beach Resort, a small resort with a friendly and relaxed atmosphere located in the heart of Bunaken National Park and experience the unique coral reefs and many drop-offs that the park has to offer. 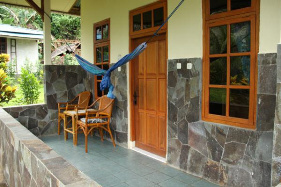 Next to diving in one of the world's top diving destinations we offer relaxation in an authentic tropical environment. 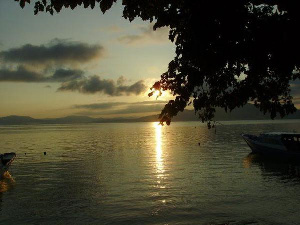 Our resort is equipped with modern facilities, a private beach and offers a beautiful sea view with the mountainous mainland of North Sulawesi in the background and where amazing sunrises can be enjoyed every morning. 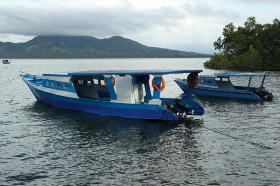 Explore the amazing underwater world of Bunaken National Park with our well equipped dive center and comfortable and large dive boat. At our resort we offer accommodations varying from bungalows to more basic rooms, all with a private terrace and a hammock to spend a lazy afternoon in the tropics. 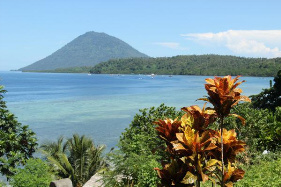 Bunaken island is located in the heart of the famous Bunaken National Park, a home to some of Indonesia's finest coral reefs.